We lost 21 feet of water over the last 2 years - flood in January 2016 to drought in January 2018. 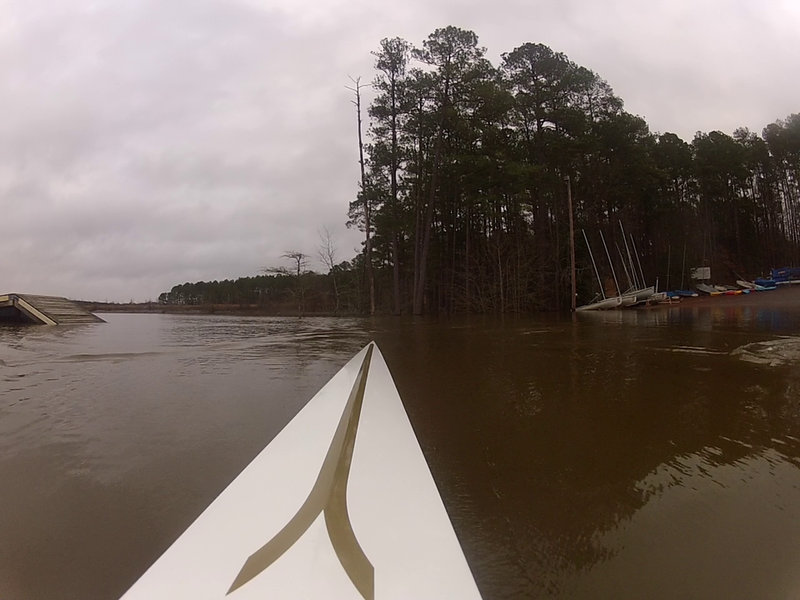 Rowing today, one has to be afraid of scratching the bottom. Two years ago, we could row between the ramp and the dock. What is missing are two tropical depressions in the falls of 2016 and 2017. Unless the first quarter of 2018 turns out to be the wettest on record, we are in for big problems next summer. You green lawn aficionados in Cary better get used to xeriscaping.